Finding a good personal story during qualitative research is like hitting the jackpot. Stories can be as important as insights because they are emotional, educational and easy to remember and cascade in huge organizations. The conundrum is that asking people for personal stories can be very challenging and, at times, can even backfire. While conducting qualitative research for a client, I once ended up in a very underprivileged suburb in the middle of… well, let´s call it Storyville. I was to visit a research subject, ¨Mary¨, to learn through ethnography from a group of lower-income young mothers about their leisure habits. Mary had agreed to let us come over on the evening she hosted her monthly ¨girl´s night¨ party. The entrance door opened and there was Mary, ready for her much expected ¨ladies-only Saturday night: dirty hair, red face, sweat stains under her armpits, old pink yoga pants and sneakers. However, in complete contrast, her manicure was amazing: her nails were carefully painted in navy blue with thin white stripes. There was a story there. I calculated my risks and decided to ask her about her nail polish as an icebreaker. Today I felt more like in “The Hamptons” mood, you know?”, she said, happy that I had noticed and showing me her nails by opening her arms theatrically in a sort of inverted Jazz Hands move. On our way down the hallway, you could hear children crying and the voice of a man coming from the basement. When the long hallway finally came to an end, we entered what she called “her kingdom”: the kitchen. Her two girlfriends and the party awaited: beautifully displayed bite sized sandwiches, an astonishing array of cheeses and crackers, biscuits in all sorts of shapes and toppings and a Sweet Table carefully plated along the kitchen island. There were little blue cards with cocktail recipes, handwritten by Mary in silver ink, and an assortment of spirits and beer to sample. Everything was navy blue and white… like her nails. I felt humbled by her obvious effort in organizing the party. I worried that Mary had outspent in the preparations. From the things she said, it was easy to deduct that Mary, with little money, no time for herself, two kids, two part- time jobs, and her husband´s parents to take care of, had put a lot of energy in this party. It seemed like she had been running around all day and painting her nails were the only “luxury” she had allowed herself. The “Hamptons Nails” story resonated among our entire marketing team and it´s the thing that everyone still remembers from the Storyville research. It illustrated how mothers make their choices and how they always put others first, how leisure is still crucial for them and how they fight for their self-esteem, me-time, identity and sophistication, even when nail polish is the only thing that they can afford for themselves. 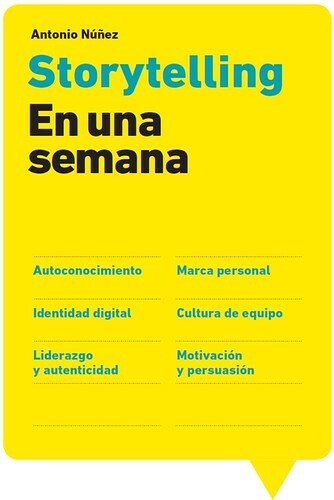 People´s personal stories are gems that glow in the mist of the sometimes grey and pedantic research jargon. Finding a revealing a-ha! story will probably do more for your research than your painstakingly analyzed and mindfully written consumer insight. But asking for stories is no piece of cake. By simply asking an innocent “why?”you can block an individual, putting him or her in a defensive mode, or evenshut down and mute an entire group for the rest of your expensive research session. What are your hopes for what the future holds for your children? For your great great grandchildren listening to these years from now: is there any wisdom you’d want to pass on to them? What would you want them to know?